All “Exhibition Profiles” are from the book “A Graceful Rise” written by Catherine Comar, executive director of the museum. Promotional narrative for National Endowment for the Arts is provided by Fly Life Magazine.com. Copyright the American Museum of Fly Fishing (AMFF) – 2014. NOTE: A few photos in this original text profile of Foggia are not found in “A Graceful Rise.” However, the book profile of Foggia has other unique images. Lyla Foggia is an enthusiastic steelhead angler. 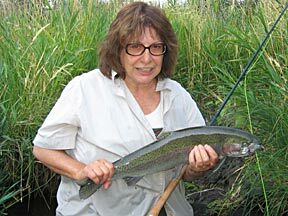 She combined her passion for the sport with her professional writing background to publish the groundbreaking book National Endowment for the Arts: The World of Women Who Fish. Foggia began her career as a freelance journalist after receiving a 1977 National Endowment for the Arts writing fellowship. She is a former Hollywood studio executive who has worked for First Artists Productions, Columbia Pictures, and TriStar Pictures. During those years she was part of core marketing teams that promoted some of the most popular movies ever produced. Foggia has also been a publicity consultant for television and worked with the popular show Live with Regis and Kathie Lee. Seeing a void in publications concerning women’s history in fishing, Foggia decided to put her research and writing talents to work. 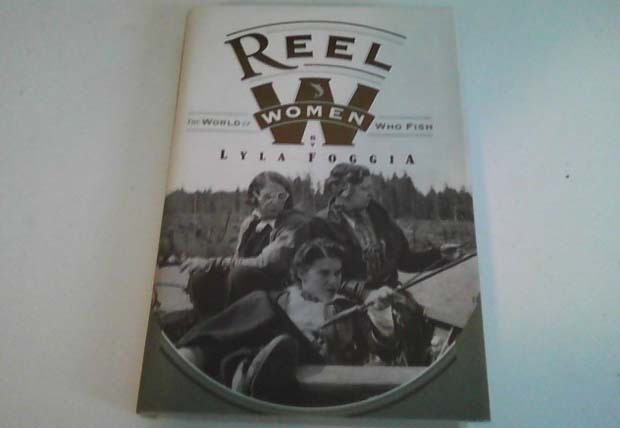 After two years of research, Reel Women was published in 1995 by Beyond Words Publishing and was first excerpted by the American Museum of Fly Fishing in its journal, the American Fly Fisher (Spring 1996, vol. 22, no. 2). Foggia’s book was the first to present five hundred years of women’s fishing history, including fly fishing, in one source. In 1999, Field & Stream magazine named the book one of the top twenty-five best fishing books in print. Second printing due out soon. 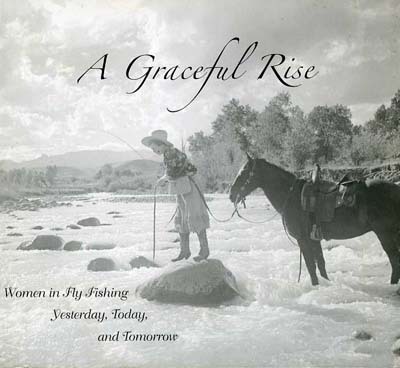 Be sure to get your copy about these fascinating women in fly fishing. Foggia lives with her husband in Portland, Oregon. She owns and operates a consulting firm, Foggia Public Relations, and continues to enjoy steelhead angling whenever possible. Foggia is in the process of researching and writing another book along the lines of Reel Women to include women worldwide. She expects to publish Reel Women: The 20th Anniversary International Edition in 2016 to include international women pioneers. American Museum of Fly Fishing 4104 Main Street Manchester, VT 05254 802-362-3300. Open Tuesday-Sunday, 10am to 4pm – See more at . . .